Congrats on the NES. A garage sale pickup at that price is a once in a lifetime event. And the box looks great. 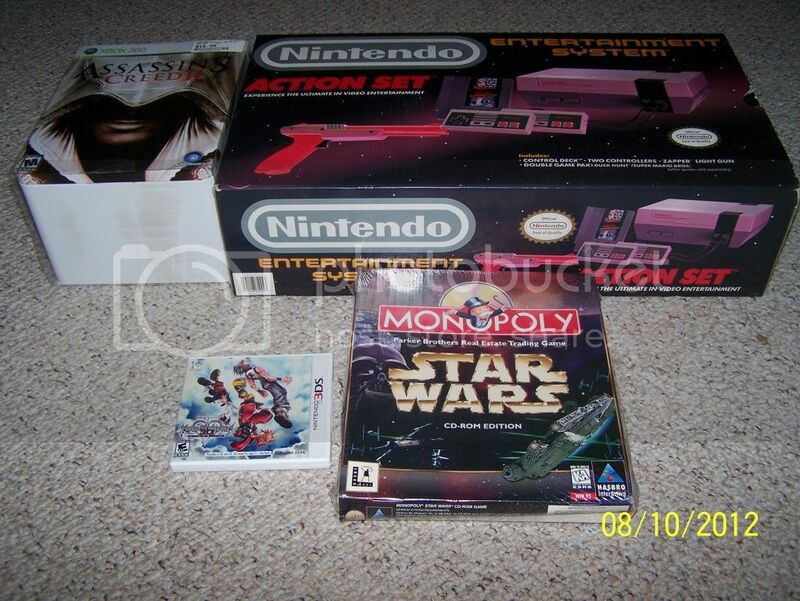 In fact, my $50 NES Control Deck CIB doesn't look that good. Thanks. I just noticed it when I got home I didn't even have that version so now I do. I had the gray gun version with the round label but I didn't have the Orange Zapper with the Oval Label. This Action set is probably the best condition one of the two but I think my NES Sports Set is in better shape but I do love this one it even smells new which is crazy!! Thanks for the comment! Also $50.00 isn't bad at all I have seen both versions of the Action set go for over $150.00 the other version I got for $60.00 a while back but smells a little like smoke, but I think I took care of that since I don't smoke it has started to smell better.